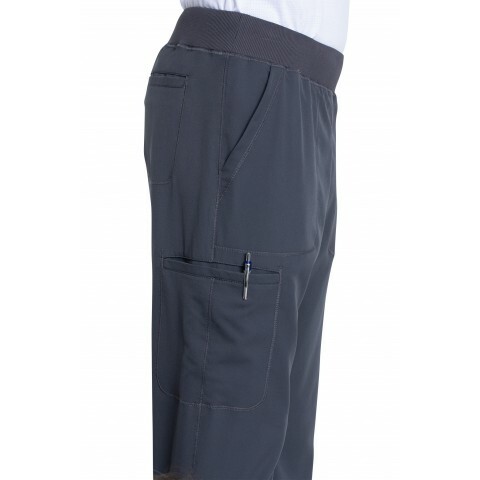 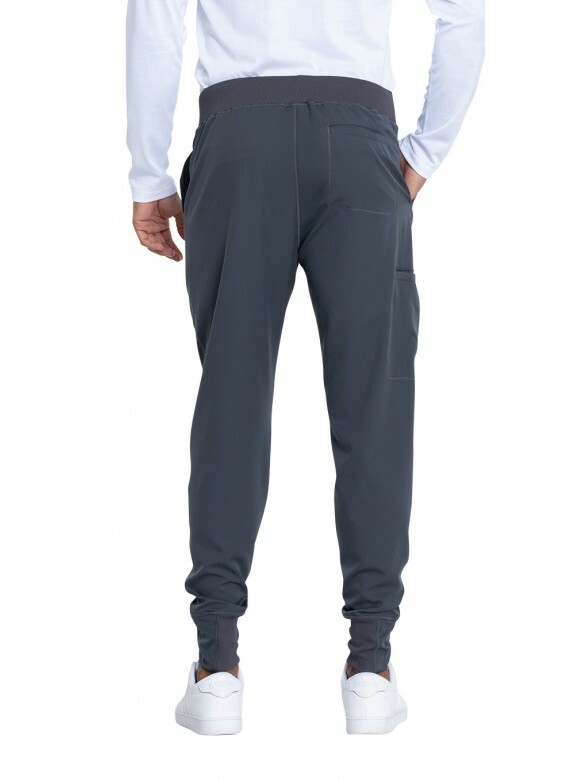 With these men's jogger scrub pants from Dickies Dynamix, you can stay casual and comfortable even during shift. 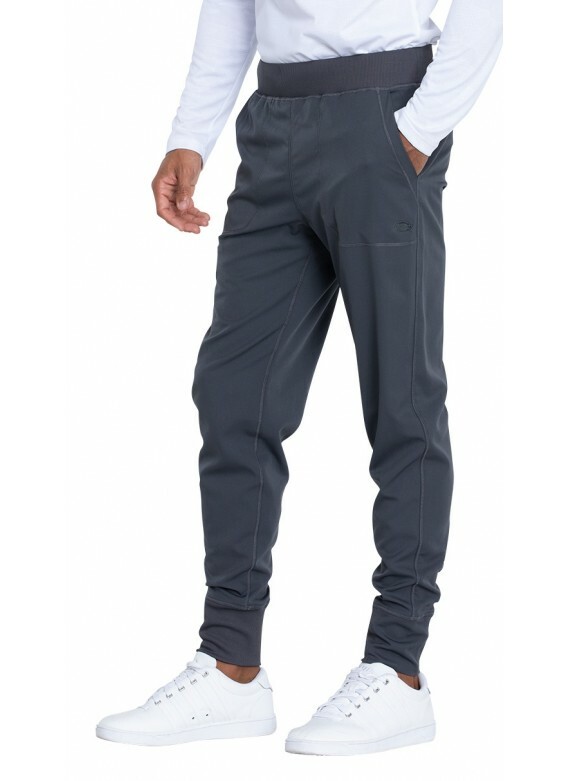 The snuggly rib-knit cuffs and waistband provide you with unparalleled comfort, which allows you to fully focus on accomplishing your tasks. 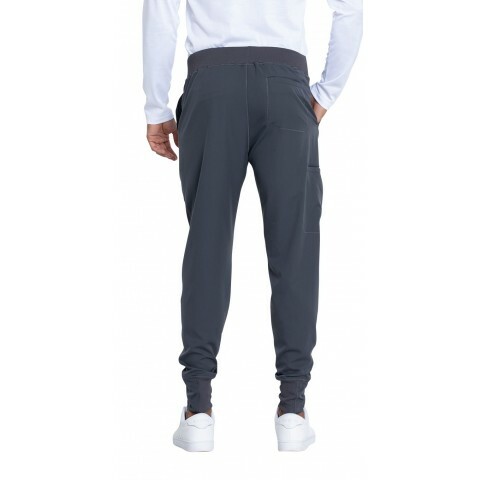 There are many functional features, too. 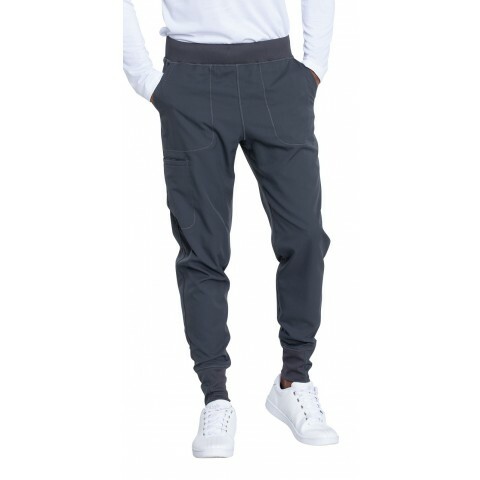 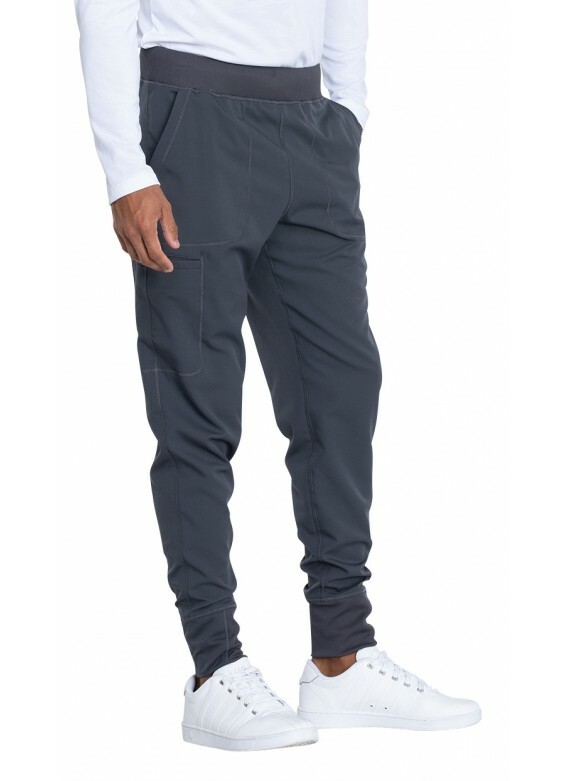 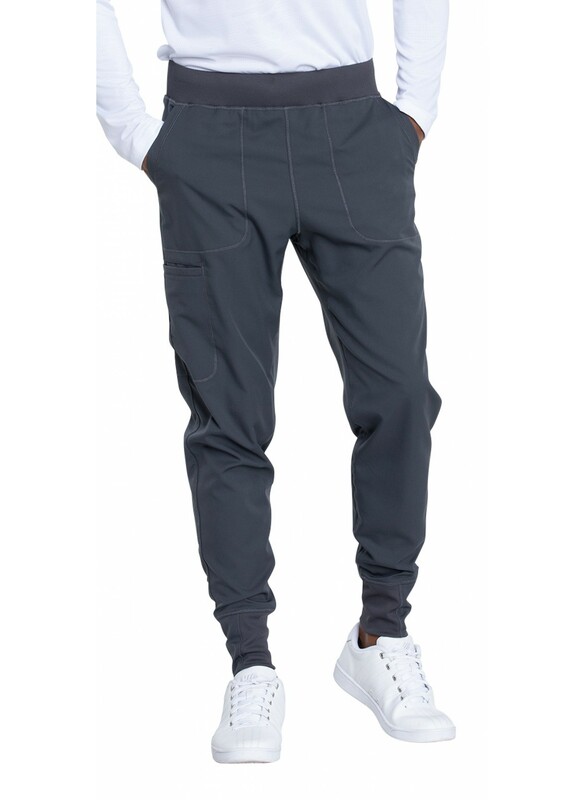 Practical details include several pockets which grant you much-needed space for storing medical essentials in, and an adjustable inner drawstring with which you can customize the width of these scrub pant joggers. 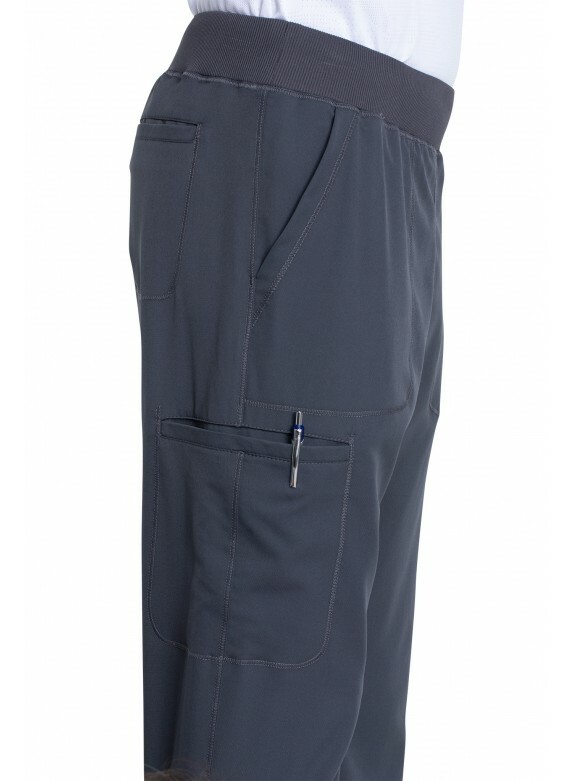 They are available in a selection of scrub colors; choose from navy, pewter grey, and black jogger scrubs. 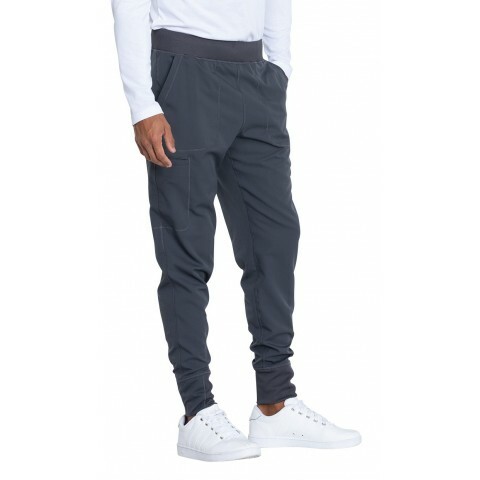 These jogger scrub bottoms are tough, well-crafted, easy to care for, and have a modern masculine fit. 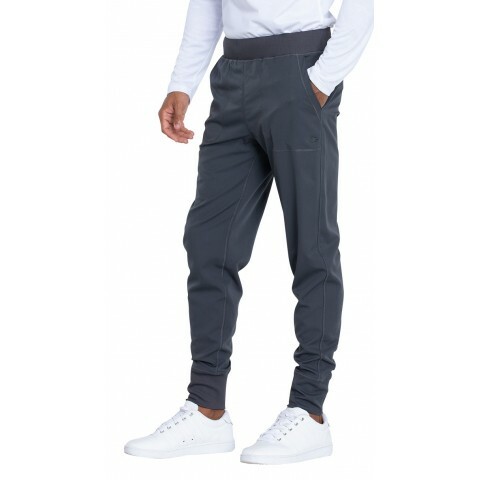 Whether you want tall jogger scrub pants, short ones, or plus size joggers, you can find the joggers that will enable you to do your best while looking totally cool.